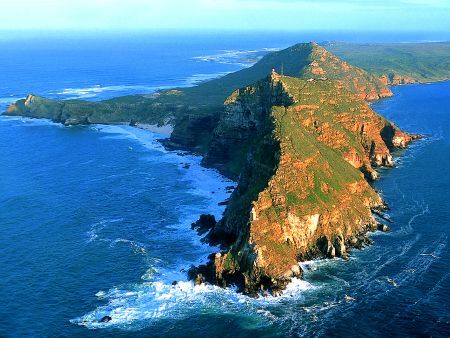 The most south-westerly point on the African Continent is rich in cultural and natural heritage and is one of the top tourist destinations in South Africa. 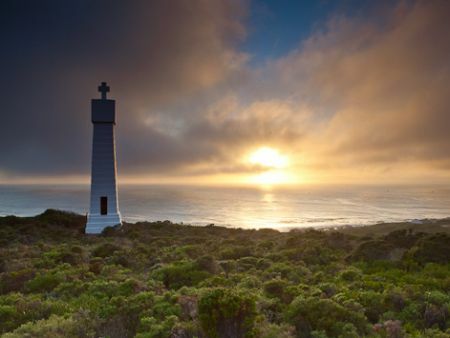 Lighthouses and views top the list of things to do but the Cape of Good Hope is a haven for historians, nature lovers and outdoor enthusiasts: hiking, surfing, angling, picnics, beaching and cycling amidst breath taking views of mountains and sea.? Vast tracts of fragrant fynbos combined with a plethora of stunning beaches and bays make each visit to this unspoiled area a constant delight.? In this section of TMNP you can see a variety of buck and other mammals such as the Chacma Baboons as well as reptiles and birds- including the flightless ostrich. You can also dive, picnic and hike to your heart's content. The Visitor Centre that showcases all the plants and animals to look out for in a particular season and is full of informative signage. At the point, visitors are treated to excellent viewing opportunities from both lighthouses that adorn the most south western point in Africa. The lighthouse is accessible by foot or one can catch the Flying Dutchman funicular to the top. 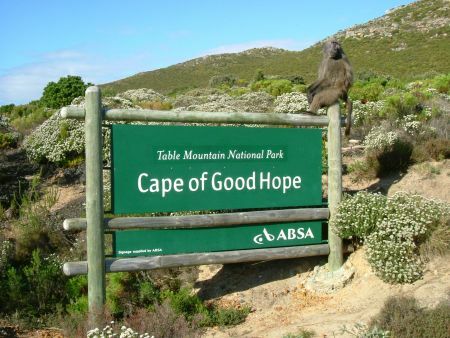 Cape of Good Hope is a haven for outdoor enthusiasts and offers hiking, surfing, angling, picnicking, beaching and cycling opportunities against the spectacular backdrop of the mountains and coastline of the Cape Peninsula. Several of the activities are regulated and require permits. Scuba Diving - permits required but some excellent wreck and dive sites on both sides of the Point. Discover Cultural and Historical Spots - including monuments to early explorers Vasca da Gama and Bartholmeu Dias. Accommodation:? Stay the night at Olifantsbos, Eland or Duiker Family Cottages. Birdwatching: There are more than 250 bird species occurring in the area, including sea birds, eagles, Cape Sugarbirds & sunbirds & African Black Oystercatchers. Overnight Trails - Cape of Good Hope Hiking Trail. 2 day, self-guided that starts & ends at the entrance gate. Overnight at the huts on Da Gama Peak. Hiking:? It's a paradise for hikers! 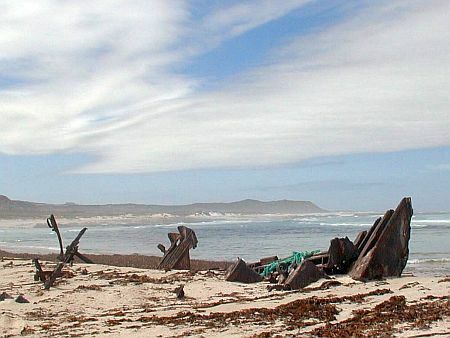 Platboom: 4 hour route along the beach to Gifkommetjie to Phyllisia wreck at Hoek van Bobbejaan and back. Lighthouse Keepers Trail: 1.5 hours from the parking lot to the lowere lighthouse. 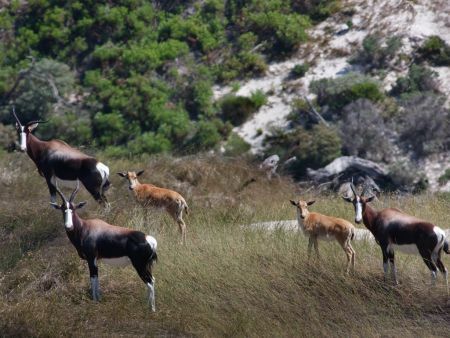 Due to the variety of wildlife that occurs here it is the only section of the Table Mountain National Park that is fenced and visitors should look out for Eland, Red Hartebeest, Bontebok and Zebra. Shy predators such as caracal and small-spotted genet patrol the crags, and Cape clawless otters frolic in rock pools. Reptiles and amphibians are abundant. Fortunate frog fundis may catch sight of the very rare Table Mountain ghost frog or Cape chirping frog.? Many endangered plant and animal species are found here, including three species of dolphin, four whale species, tortoises, birds, baboons and large game animals. The diversity, density and endemism of the indigenous flora here is among the world's highest ? approximately 1 100 indigenous plant species, some of which occur nowhere else on Earth. Although the area makes up less than 0.5% of the continent, it is home to 20% of Africa?s flora species. Indigenous Fynbos grows here in abundance, providing sustenance and shelter to the area?s creatures. Cape Point is a superb example of bio-diversity and symbiosis, and what?s most remarkable is that it?s a thriving natural reserve on the outskirts of a major metropolitan area. The history of the area dates way back to the days of the Khoi and San people. In the 15th Century it was visited by great Portuguese Explorers and in fact got its' name from Portugal's King John II.? Dias first named it the Cape of Storms in 1488 when the Portuguese sailor first rounded the Cape Peninsula. A decade later Vasco da Gama navigated the same route and sailed up the coast of Africa, as he pioneered a trade route between Europe and the East.? Tragically many trade ships floundered on the treacherous rocks & stormy seas. Later in 1580 Sir Francis Drake called it the "The Fairest Cape in all the World".? 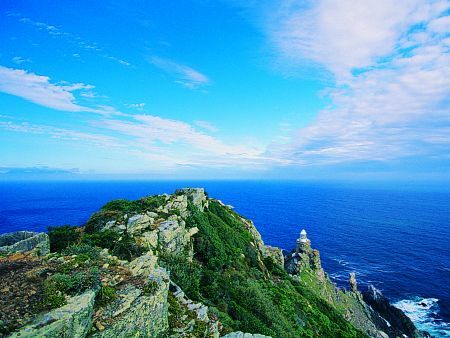 The original lighthouse was built in 1859 on Da Gama Peak, the summit of Cape Point, 249m above sea level. It still stands here and is now used as a centralized monitoring point for all the lighthouses in South Africa. The newer lighthouse, built in 1914, is the most powerful on the South African coast. It emits three flashes in a group every 30 seconds and revolves. 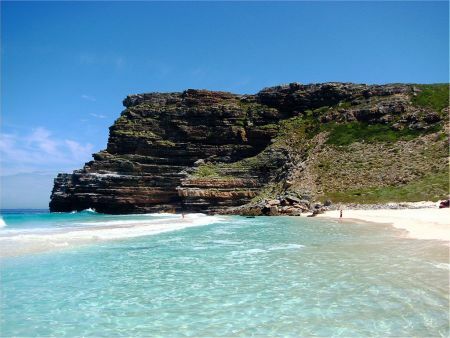 Day Tours from Cape Point Route? Packages on Cape Point Route? Flora - 1,100 indigenous fynbos plants!